Flow diagram of physician and trial coordinator activities in the clinical trial alert (CTA) process. EHR indicates electronic health record. Monthly physician-generated referrals and enrollments before and after clinical trial alert (CTA) activation. Background Failure to recruit a sufficient number of eligible subjects in a timely manner represents a major impediment to the success of clinical trials. Physician participation is vital to trial recruitment but is often limited. Methods After 12 months of traditional recruitment to a clinical trial, we activated our electronic health record (EHR)–based clinical trial alert (CTA) system in selected outpatient clinics of a large, US academic health care system. When a patient’s EHR data met selected trial criteria during the subsequent 4-month intervention period, the CTA prompted physician consideration of the patient’s eligibility and facilitated secure messaging to the trial’s coordinator. Subjects were the 114 physicians practicing at selected EHR-equipped clinics throughout our study. We compared differences in the number of physicians participating in recruitment and their recruitment rates before and after CTA activation. Results The CTA intervention was associated with significant increases in the number of physicians generating referrals (5 before and 42 after; P < .001) and enrollments (5 before and 11 after; P = .03), a 10-fold increase in those physicians’ referral rate (5.7/mo before and 59.5/mo after; rate ratio, 10.44; 95% confidence interval, 7.98-13.68; P<.001), and a doubling of their enrollment rate (2.9/mo before and 6.0/mo after; rate ratio, 2.06; 95% confidence interval, 1.22-3.46; P = .007). Conclusions Use of an EHR-based CTA led to significant increases in physicians’ participation in and recruitment rates to an ongoing clinical trial. Given the trend toward EHR implementation in health care centers engaged in clinical research, this approach may represent a much-needed solution to the common problem of inadequate trial recruitment. We developed an EHR-based clinical trial alert (CTA) system to overcome many of the known obstacles to trial recruitment by physicians while complying with current privacy regulations.28 The aim of this study was to determine if CTA use could enhance physicians’ participation in the recruitment of subjects and increase physician-generated recruitment rates to an ongoing clinical trial. We evaluated our CTA intervention at The Cleveland Clinic, Cleveland, Ohio, a large, US academic health care system with a fully implemented, commercial ambulatory EHR (EpicCare; Epic Systems Corp, Madison, Wis). This EHR served as the sole point of documentation and computerized provider order entry at almost all of the institution’s ambulatory clinical practices, and its use at our selected clinical sites preceded this study by at least 6 months. We compared physicians’ trial recruitment activities during a 12-month phase of baseline recruitment with those of a 4-month intervention phase, during which CTA use was added to baseline recruitment efforts. The preintervention phase began on February 1, 2003, coincident with the onset of recruitment to the associated clinical trial. As part of the clinical trial’s recruitment strategy, physicians across the institution, including our study participants, were encouraged via traditional means (eg, the posting of flyers, memorandum distribution, and discussion at departmental meetings) to recruit subjects for the clinical trial. Beginning in February 2004, the CTA was activated for 4 months. To test our intervention, we sought a clinical trial with a planned recruitment period that spanned our study and for which potential subjects would likely be encountered at main campus and community health center clinical sites. We identified an institutional review board–approved, multicenter trial of patients with type 2 diabetes mellitus that fit our criteria. We received approval from the institutional review board for our study and obtained the cooperation of the clinical trial’s coordinator and site principal investigator. We targeted for this intervention the 10 endocrinologists and 104 general internists on staff at the selected clinical sites during both phases of our study and who had the opportunity to participate in recruitment activities throughout. Selected clinical sites included the study institution’s main campus endocrinology and general internal medicine clinics and the general internal medicine clinics at the institution’s 12 EHR-equipped community health centers located throughout the city and its suburbs. To develop the CTA, we combined features of the EHR’s clinical decision support system (CDSS) and its communications capabilities. A flow diagram of the CTA process is shown in Figure 1. Using the CDSS programming interface, the CTA was set to trigger during physician-patient encounters at the selected clinical sites when data in a patient’s EHR met selected trial criteria (ie, age >40 years; any International Classification of Diseases, Ninth Revision, diagnosis of type 2 diabetes mellitus; and glycosylated hemoglobin level of >7.4%). We chose these criteria after consultation with the trial’s principal investigator and an analysis of which candidate criteria were present in the EHR. When triggered, the initial CTA screen alerted the physician about the ongoing trial and the current patient’s potential eligibility. If the physician opted to continue rather than dismiss the alert, a customized CTA order form appeared on-screen. This form prompted consideration of additional key eligibility criteria not consistently retrievable from the EHR (eg, history of cardiovascular disease) and discussion of the eligibility and level of interest with the current patient. The physician could then generate an order in the EHR by choosing 1 of the following 3 options on the CTA order form: (1) The patient meets criteria and is interested (referral order). (2) The patient does not meet study criteria at this time (not eligible order). (3) The patient meets criteria but is not interested at this time (not interested order). Selection of a referral order automatically transmitted a secure message within the EHR to the trial coordinator. This message included a link to the patient’s electronic medical chart and confirmed the patient’s permission allowing review of that chart to determine eligibility. After chart review, the trial coordinator telephoned all referred patients and invited those potentially eligible for further screening. A referral order also appended general trial-related information to the patient instructions printed at the close of the clinic visit. These after-visit instructions informed patients that they should expect to be contacted by the trial’s coordinator within 2 weeks regarding their eligibility, and that they were not obligated to proceed should they change their minds. The presence of a referral order prevented a CTA from triggering at a future visit for that patient. Before activation in the operational EHR system, proper functioning of the CTA was confirmed in a test environment. Individual physician response data were kept confidential and were aggregated by clinical site for further analysis. Patients’ protected health information was not accessed or removed from the EHR solely for the purposes of our study. Physicians and the clinical trial’s coordinator reviewed the protected health information of patients only in the context of performing their patient care or eligibility determination duties, respectively. Given practical considerations and the limited potential for harm, we were exempted from obtaining signed informed consent from our physician subjects. Instead, we sent a letter informing them of the CTA study and the plan to keep individual data confidential. Physicians could refuse to participate whenever presented with a CTA by opting not to proceed. Descriptive analyses were generated by practice type for the numbers of physicians participating in recruitment and their monthly recruitment rates. To test the significance of differences between the numbers of physicians who participated in recruitment efforts during each study phase, we applied the McNemar exact test for matched data. For referral and enrollment rates, we assumed a Poisson distribution. Differences between referral and enrollment rates before and after the intervention were tested using a likelihood ratio test based on the Poisson distribution with an offset for the unequal time periods. Confidence intervals (CIs) were calculated from the resultant likelihood ratios. All statistical calculations were performed using SAS (version 8; SAS Institute Inc, Cary, NC). During the 4-month intervention phase, all 114 physicians received at least 1 CTA each, and 48 (42%) participated by processing at least 1 CTA order form. Of those 48 who participated, 42 (88%) referred at least 1 patient to the trial coordinator, and 11 (23%) generated at least 1 enrollment. The number of physicians referring patients after CTA activation increased more than 8-fold from 5 before to 42 after (P<.001), and the number generating enrollments more than doubled from 5 before to 11 after (P = .03) (Table 1). These increases included participation by 36 internists and 1 endocrinologist who had not contributed to recruitment before the intervention. After CTA activation, the physician-generated referral rate increased more than 10-fold from 5.7/mo before to 59.5/mo after (P<.001), and the enrollment rate more than doubled from 2.9/mo before to 6.0/mo after (P = .007) (Table 2). Referral and enrollment rates fluctuated slightly from month to month before the intervention, but increased markedly after CTA activation (Figure 2). Although general internists had not contributed to recruitment before, they generated 170 (71%) of the referrals and 7 (29%) of the enrollments after CTA activation. Use of the CTA was also associated with a significant referral rate increase among endocrinologists, but their 47% enrollment rate increase did not reach statistical significance (Table 2). During the 4-month intervention phase, there were 4780 CTAs triggered during clinical encounters with 3158 individual patients. Of all CTAs triggered, physicians dismissed 4295 (90%) of them without further action. Of the 485 CTAs acted on, physicians referred 238 (49%) to the trial coordinator and indicated that the rest were either ineligible (n = 153 [32%]) or eligible but disinterested (n = 94 [19%]). These proportions did not change significantly throughout the intervention phase. Of the 238 referrals, the trial coordinator found that 121 (51%) remained potentially eligible after a thorough EHR chart review. Those patients were invited for further evaluation, and 60 (50%) presented for a screening visit. At final analysis, 24 (40%) of those who underwent screening had enrolled, whereas the rest were ineligible or disinterested (18 patients [30%]) or were “on hold” awaiting further data to determine if they might eventually become eligible (18 patients [30%]). We found that the use of an EHR-based CTA system was associated with significant increases in the number of physicians participating in trial recruitment and physician-generated referral and enrollment rates to the associated clinical trial. Despite traditional efforts to promote recruitment institution wide, a few endocrinologists practicing at the primary trial site did all of the recruiting before the intervention, a common occurrence.30,31 Although physicians at this site continued to generate most of the enrollments after CTA activation, the intervention increased their referral rate 3-fold and their enrollment rate by nearly 50%, suggesting that it helped to recruit subjects being missed even in that site. In addition, general internists’ participation increased dramatically after CTA activation. Their contributions during our intervention phase accounted for more than two thirds of the referrals, almost one third of the enrollments, and were essential to the statistically significant increase in the enrollment rate observed. 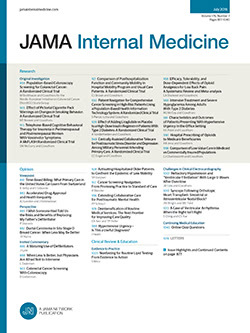 Although this study was not designed to assess reasons for the CTA’s impact, some of our design choices were based on factors previously recognized to influence physician participation and may have contributed to its success.10,11,34,35 Traditional recruitment requires that physicians remember a clinical trial is active, recall the trial’s details to determine patient eligibility, and take time to perform other recruitment activities. The CTA likely helped our physicians overcome some of those obstacles to participation by alerting them about their patients’ potential eligibility for the trial at the point of care, facilitating communication and documentation tasks required for patient referral, and shifting much of the work of eligibility determination away from the physician. In addition to physician factors, patient factors play an important role in successful trial recruitment.36 Previous studies have demonstrated that being recruited by one’s treating physician, feeling actively involved in the decision-making process, and taking time to consider whether to participate in a trial all significantly increase the likelihood that a patient will enroll.7,37 In designing our CTA, we also attempted to capitalize on these recognized success factors by prompting treating physicians to recruit their patients, providing basic trial information to the patient in the after-visit instructions, and giving patients time to consider their decision to participate before being contacted by the trial coordinator. Driven by calls from governmental and advisory organizations,38-40 there is a trend toward implementation of comprehensive EHRs with functionality similar to that of the one studied in academic health centers.41 It may, therefore, be possible to replicate the CTA approach in such settings. Because past clinical trial success or failure has sometimes been considered by research funding agencies as a predictor of future performance when making research funding decisions,3 the ability to enhance trial completion with CTA technology may have implications for academic health centers. Should the CTA approach prove effective at augmenting current recruitment strategies in other such settings, academic health centers may view its potential benefit to their research missions as yet another reason to implement EHRs. Although our use of the EHR’s CDSS to build the CTA may contribute to the generalizability of these findings, CDSS technology was not designed for this purpose and presented some limitations. For instance, our EHR’s CDSS did not allow activation of the CTA at the individual physician level, thereby preventing exclusion of disinterested physicians from the intervention. It also limited the kinds of EHR data that we were able to use and the ways in which we could combine EHR data to trigger the CTA, thereby allowing the CTA to trigger for more ineligible patients than we would have liked. These technological limitations likely contributed to the high proportion of physician nonresponders (58%) and to the high rate of dismissed CTAs (90%). Further, by allowing dismissal of CTAs without a response, the technology did not permit us to determine if such dismissals were due to physician disinterest, knowledge of the patient’s ineligibility, or some other reason. After CTA activation, we observed a substantially higher ratio of physicians’ referrals to enrollments than previously. Although some of this likely related to the technical limitations noted above, this was somewhat expected, given our design choices. By choosing rather sensitive CTA triggering criteria, we decided to tolerate a potentially high false-positive referral rate to minimize false-negative referrals or missed eligible patients. Although this choice almost certainly contributed to some inefficiency, the observed statistically significant increase in the enrollment rate suggests that it was an effective approach. Indeed, prior research has demonstrated that when practice sites refer patients for trial consideration based on broad entry criteria and leave eligibility determination to the researcher, they achieve a higher recruitment success rate compared with practices that try to precisely determine eligibility before referral.42 Moreover, we observed that the clinical trial coordinator’s ability to review CTA-referred patients’ data via the EHR allowed for prescreening and resulted in fewer in-person screenings than might have otherwise been necessary. Whether a more specifically targeted CTA would have been as effective while also being more efficient will be examined in future studies. This study has several limitations, some of which are noted above. We know of no other changes to ongoing trial recruitment efforts that might have had an effect on physician participation during the intervention phase, and recruitment trends were stable or even declining before our intervention (Figure 2). Nevertheless, it is still possible that unrecognized differences between the study phases may have accounted for some of the improvements observed due to our before-after study design. Furthermore, because the CTA was tested on a single clinical trial, at a single institution, using a single EHR, the benefits observed may relate to features specific to the trial, the EHR, or the study setting. It is possible that physicians altered their behavior because they were aware there CTA responses were being monitored (ie, a Hawthorne effect). It is also possible that the increased recruitment rates observed during the 4-month intervention phase might wane with prolonged use. Future plans include refinement of the CTA system based on the lessons learned from this study and ongoing evaluations of subjects’ perceptions. We intend to test the CTA’s influence on multiple and varied clinical trials and assess the generalizability of our findings through testing in other EHRs at different health centers. Use of a CTA during EHR-based outpatient practice was associated with significant increases in physician participation and in physician-generated recruitment rates to an ongoing clinical trial. Given the trend toward adoption of similarly capable EHRs in health centers engaged in clinical research, the CTA approach may be applicable to such settings and could represent a solution to the common problem of slow and insufficient trial recruitment by a limited number of physicians. Further studies are planned to optimize the CTA approach and assess its utility in other settings. Correspondence: Peter J. Embi, MD, MS, University of Cincinnati College of Medicine, 231 Albert Sabin Way, Room 6603, PO Box 670535, Cincinnati, OH 45267-0535 (peter.embi@uc.edu). Funding/Support: This study was supported in part by career development award K22-LM008534 from the National Library of Medicine, National Institutes of Health, Bethesda, Md (Dr Embi). Role of the Sponsor: The funding agency had no role in any aspect of the design, execution, or publication of this study. Previous Presentation: This study was presented at the 28th Annual Meeting of the Society of General Internal Medicine; May 14, 2005; New Orleans, La. Additional Information: Dr Embi had full access to all of the data in the study and takes responsibility for the integrity of the data and the accuracy of the data analysis. Acknowledgment: We thank the physicians who participated as subjects in this study. We also thank Byron Hoogwerf, MD; Gary S. Hoffman, MD, MS; Ronnie D. Horner, PhD; Michael G. Ison, MD, MS; James E. Lockshaw, MBA; and Mark H. Eckman, MD, MS, for their contributions to the project and this report. This article was corrected on 12/2/2005.